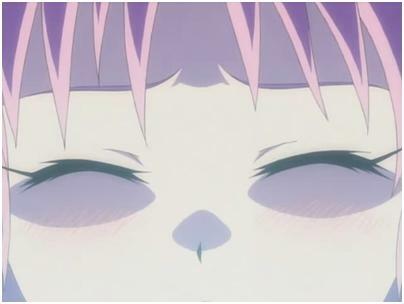 This entry was posted in Anime & Manga and tagged manga, To Love-Ru on May 1, 2008 by Khim Hoe. Another new fanservice (aka crap) anime! \o/ If you read the manga, you probably know that To Love-Ru doesn’t have much story but fanservice. The quality of the first episode is kinda bad, but this maybe the fansub that I’m watching have crappy encoding skill. Anyway, the voice for each character fit pretty well. No awkward voice. 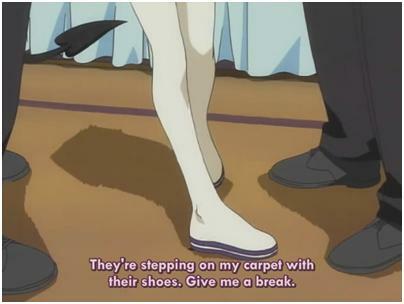 ….The carpet is more important than 2 strangers wearing suit in your house capturing an alien girl. This entry was posted in Anime & Manga and tagged To Love-Ru on April 9, 2008 by Khim Hoe.